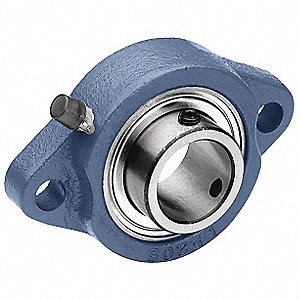 SBLF-200-Series 2-Bolt Flange set screw locking bearings are the choice for many applications such as packaging house conveyors. The housing bolt hole center distance design allows for compact application. If you looking for value with great load carrying capacity to fit in small places for your design consider the SBLF-200-Series.